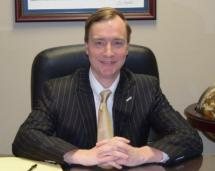 Tom Springer is a Kentucky trial lawyer who represents a variety of clients in both State and Federal court. Springer has over 16 years of experience helping clients in their personal injury, workers compensation, social security disability, and civil tort claims. Springer's practice also includes corporate and real estate law, serving as general counsel for First United Bank and Trust Company and the Sacramento Deposit Bank. Springer was Plaintiff's counsel in the landmark Kentucky Supreme Court Case of Vision Mining v. Gardner, which struck down Kentucky's unfair black lung law as unconstitutional, allowing injured coal miners afflicted with this disease to obtain the benefits to which they are entitled. Springer is a member of the Kentucky Justice Association, Kentucky Workers Association, Kentucky Bar Association, and the Hopkins County Bar Association. Springer is admitted to practice law before the Kentucky Supreme Court, the United States District Courts for the Western and Eastern Districts of Kentucky, the Sixth Circuit Court of Appeals, and the United States Supreme Court.